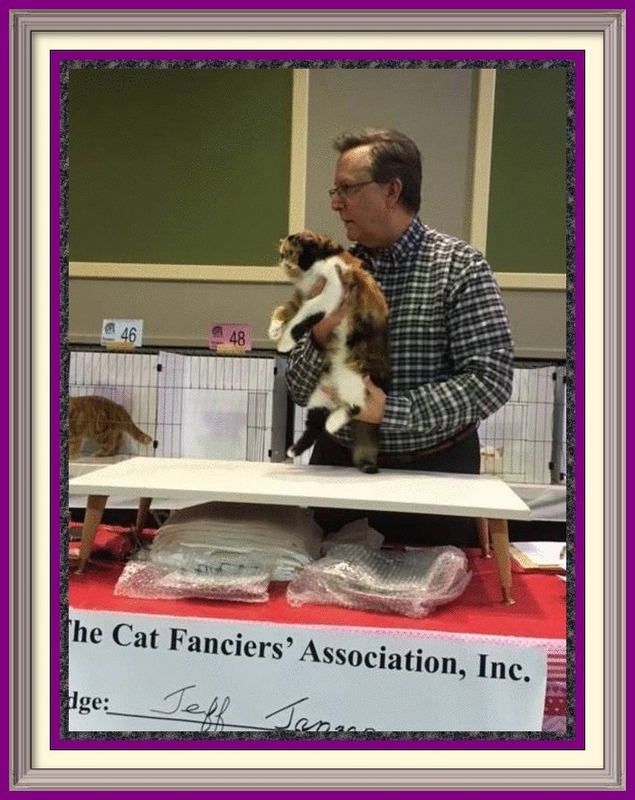 We can be found at the CFA Cat Shows. 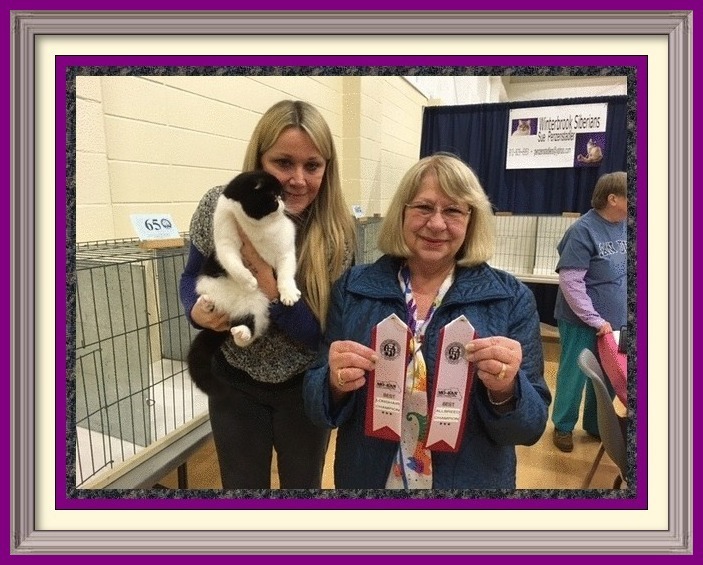 We primarily show our Persian and Exotic Shorthair cats in CFA's Midwest Region. As Seen on The Jason Show, January 24, 2019. 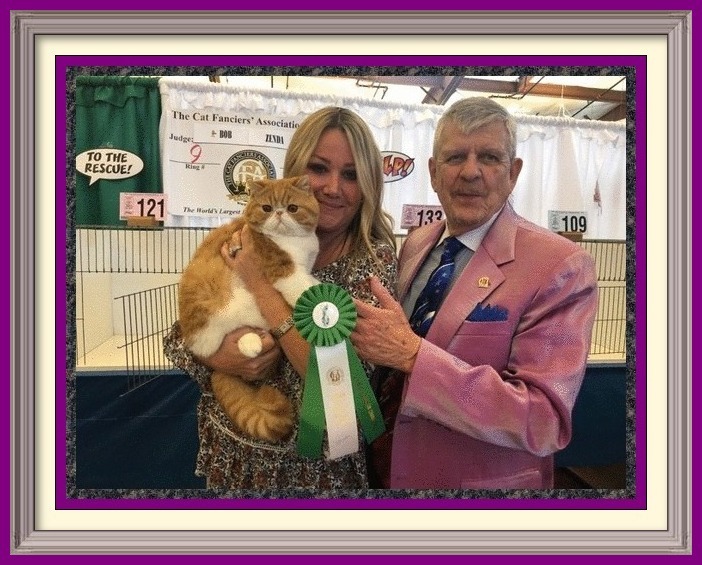 In this picture with Ziggy is Lisa and CFA Cat Show Judge Bob Zenda. 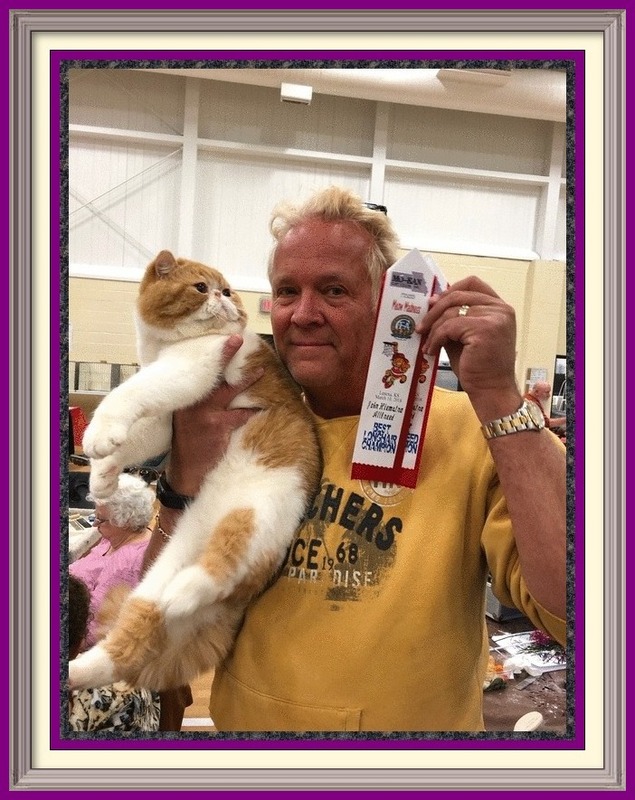 GC Kitten Chaos Prince of Purrtopia obtaining his title as Grand Champion! What an exciting day! Bowie and Larry smiling at each other. "Prince" in the show ring. 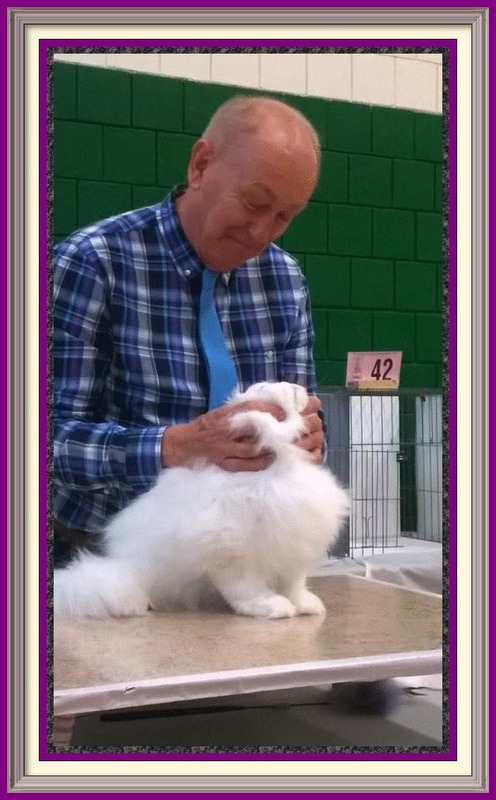 "Prince" in the show ring with Judge Bob Zenda. 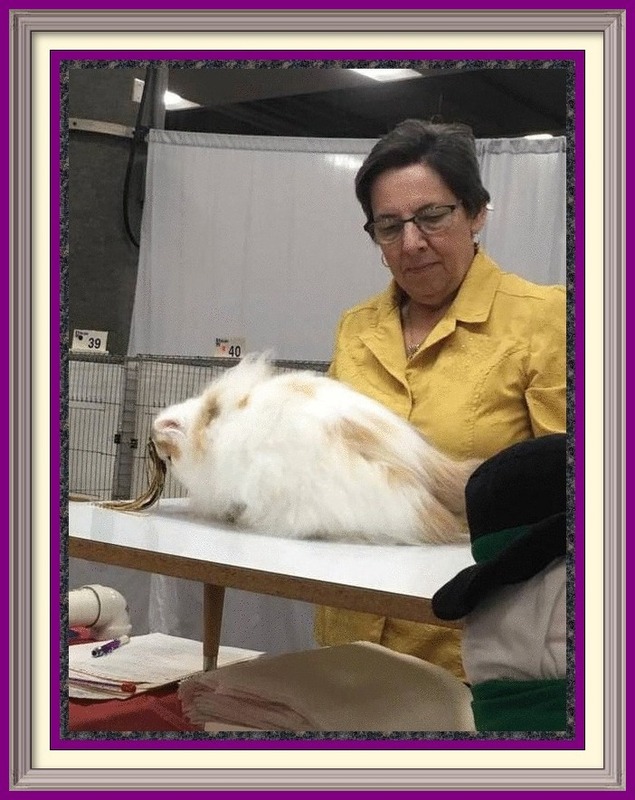 "Subie" in the show ring. Apollonia in the show ring. 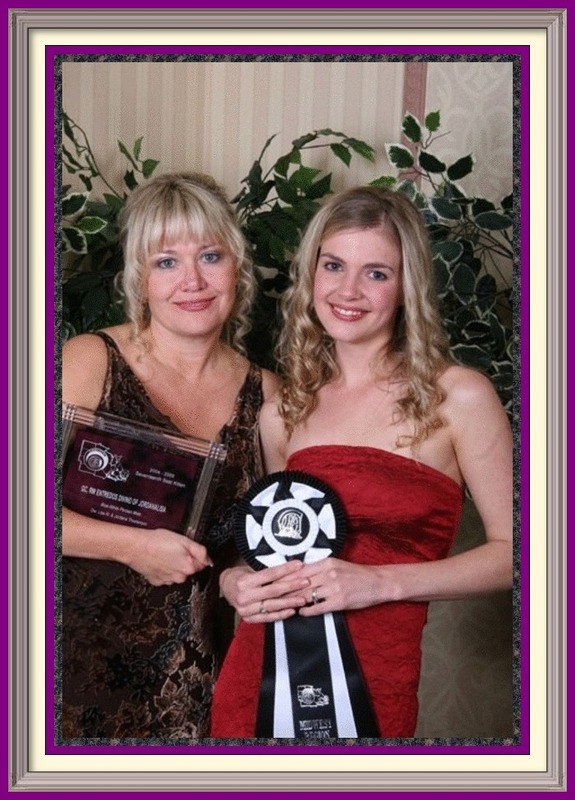 More awards and accolades we have received over the years of breeding and showing Persian Cats and Exotic Shorthairs. We have compiled a wealth of information about the Persian and Exotic Shorthair breeds, please visit our Education and Resources Page. 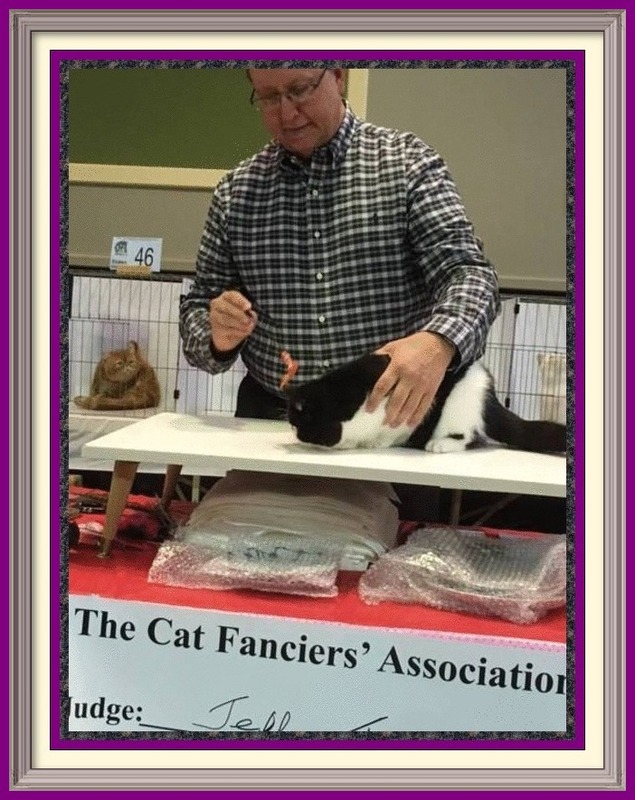 For more CFA (Cat Fancier's Association) information, please visit their website at: http://www.cfa.org. 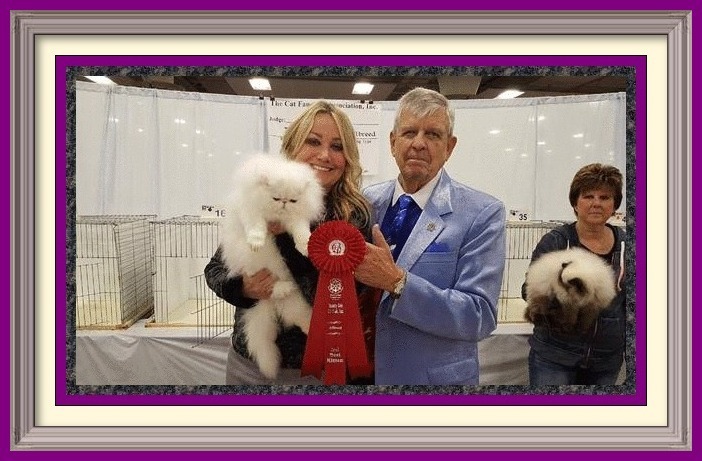 For more information about the Persian breed standards, please visit the CFA website. For more information about the Exotic Shorthair breed standards, please visit the CFA website. 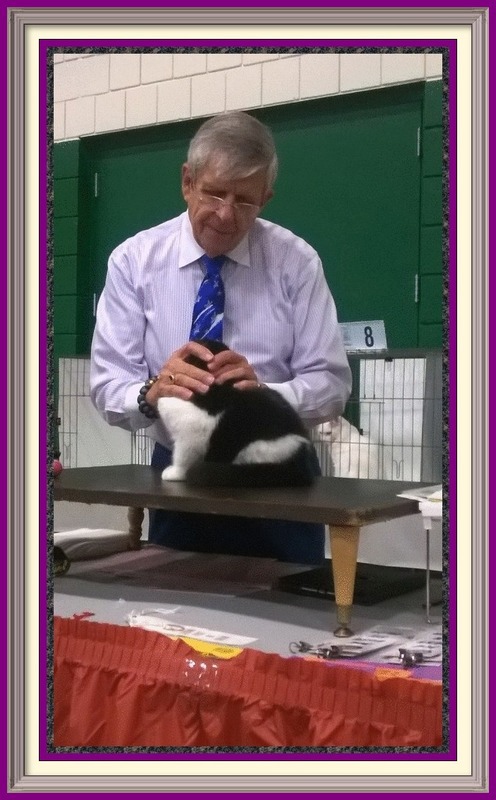 For CFA Cat Show Schedule Calendar, please visit the CFA Website.